The new A-Class is as youthful and dynamic as ever, but with levels of sophistication and luxury never before seen in the compact car segment. 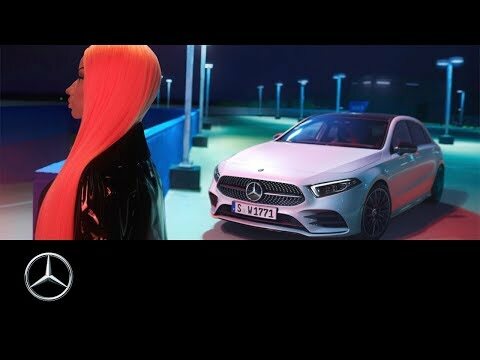 A revolution in interior design and technology, the new A-Class shines with the all-new MBUX Mercedes-Benz User Experience and a number of functions that were previously the preserve of the luxury class. Alongside the new touchscreen media interface, the new A-Class is the first Mercedes-Benz model to feature the completely new multimedia system MBUX (Mercedes-Benz User Experience). Thanks to a sophisticated artificial intelligence, MBUX learns and adapts to suit the user, creating an emotional connection between the vehicle, driver and passengers. 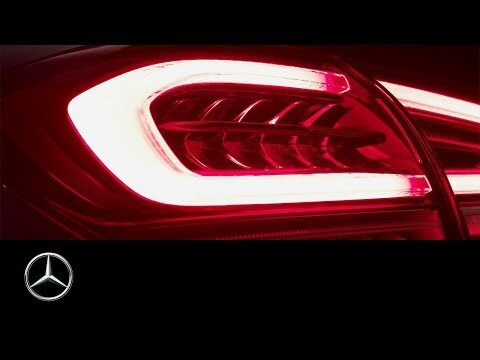 Say "Hey Mercedes..." and every command you can think of is at your disposal - make calls, navigate your way home, even change your interior lighting colour. Despite its sporty look, the new A-Class has more shoulder, elbow and headroom and easier access to the rear as well as a larger recreation-friendly luggage compartment. All-round visibility has also been considerably improved. And it doesn't end there. 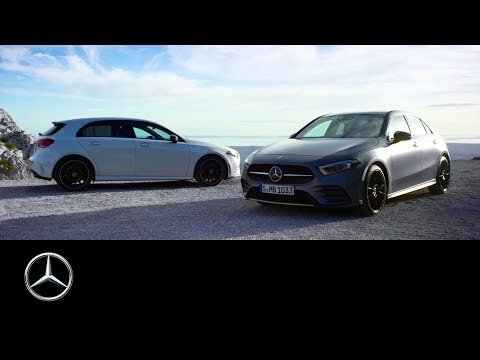 The new A-Class offers INTELLIGENT DRIVE at S-Class level, ACTIVE BRAKE ASSIST as standard, the best aerodynamic drag coefficient in its class (0.25), and a range of new powerful and efficient engines to suit your needs. With 4 way car control (voice, touch pad, touch screen and steering wheel), enhanced dimensions, exceptional levels of luxury and style, groundbreaking technology and exciting optional equipment like Augmented Navigation, MULTIBEAM LED and ambient 64 colour cockpit - the A-Class has never been better. Contact your nearest Lancaster Mercedes-Benz dealership today to experience the new A-Class for yourself. Official government fuel consumption figures in mpg (litres per 100km) for the Mercedes-Benz range: urban 16.2(17.4)-72.4(3.9), extra urban 23.9(11.8)-88.3(3.2), combined 20.5(13.8)-134.5(2.1). CO2 emissions 322-48 g/km. Pictured models are used for illustrative purposes only and may not always represent the specific model derivatives on offer. Images shown may feature optional equipment not featured in the offer. Contact your dealership for more details.Selected new, approved used and ex demonstrator models only. Please contact your retailer for availability.